The quality and quantity of the potatoes produced is directly affected by the climatic factors that prevailed during the crop season. It is also well established that abiotic and biotic stresses cause tremendous losses to the crop. Host plants and their pathogens are prone to various climatic factors like temperature, relative humidity, rainfall and CO2 which are behaving in erratic manner. Phytophthora infestans has adapted itself at higher temperature so there are chances to spread at a larger area. The other potato diseases like early blight, bacterial wilt, soft rot and viral diseases may also behave differently at elevated temperature and high rainfall. Viral diseases of potato are serious threat to potato industry as most of the viruses are transmitted by vectors and vector populations are bound to increase with these changed climatic conditions. Therefore, potato researchers need to simulate these conditions and devise mitigation strategies for sustained potato production. Potatoes are staple diet of millions throughout the world. It can be grown in temperate, tropical and subtropical regions of the world. Over the years, potato production has increased substantially in developing countries. Today, China is the main producer of potato producing about 20% of global production (Staubli et al., 2008). It has been predicted that potato yield will decrease by 18-32% due to climate change. Recent years have witnessed a steady increase in national and international concern over the sustainability of the global environment. 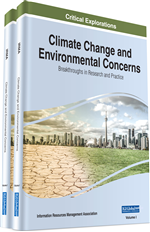 Climate change has emerged as the most prominent of the global environment issues. Global climate has changed ever since industrial revolution. The atmospheric concentrations of the greenhouse gases carbon dioxide (CO2), methane (CH4), and nitrous oxide (N2O) have increased since 1750 due to human activity. In 2011, the concentrations of these greenhouse gases were 391 ppm, 1803 ppb, and 324 ppb, exceeding the pre-industrial levels by about 40%, 150%, and 20%, respectively (Intergovernmental Panel on climate Change [IPCC], 2013). Global surface temperature change by the end of the 21st century is likely to exceed 1.5°C relative to 1850 to 1900 for all RCP (Representative Concentration Pathways) scenarios except RCP2.6. It is likely to exceed 2°C for RCP6.0 and RCP8.5, and more likely than not to exceed 2°C for RCP4.5. Warming will continue beyond 2100 under all RCP scenarios except RCP2.6. Warming will continue to exhibit inter annual-to-decadal variability and will not be regionally uniform (IPCC, 2013). This is expected to have grave consequences for mankind and the environment. The critical threshold is said to be around a temperature increase of 2°C (IPCC, 2007). CO2 and temperature interactions are recognized as a key factor in determining plant damage from pests in future decade; likewise CO2 and precipitation interaction will also be important. Climate change implies that the average conditions (mean and/or variability) are changing over time and may never return to those previously experienced (Coakley, 1988). Pace of climate change and the unpredictability of its characteristics are of great concern with respect to the pathogens, insect pests and weeds that reduce crop yield. The classic disease triangle recognizes the role of climate in plant diseases, as no virulent pathogen can induce disease on a highly susceptible host if prevailed climatic conditions are not favorable. Climate change could “alter stages and rate of development of the pathogen, modify host resistance, and result in changes in physiology of host pathogen interaction” (Garrett et al., 2006). The climate change and global warming with increases in temperature, moisture and CO2 levels can impact all three legs of the plant disease triangle in various ways. Climate influences all stages of host and pathogen life cycles as well as development of disease. Climate change and global warming will allow survival of plant and pathogens outside their existing geographical range. “The lack of action on climate change not only risks putting prosperity out of reach of millions of people in the developing world, it also threatens to roll back decades of sustainable development” (Kim,19th November, 2012; a foreword to the report, Turn Down the Heat: Why a 4°C Warmer World Must be Avoided). The climatic factors including changes in temperature, rainfall and other atmospheric composition along with predominantly elevated CO2 levels would accelerate the reproduction time of many plant pathogens and pests, thereby increasing their infection pressure on crop plants (Boonekamp, 2012).